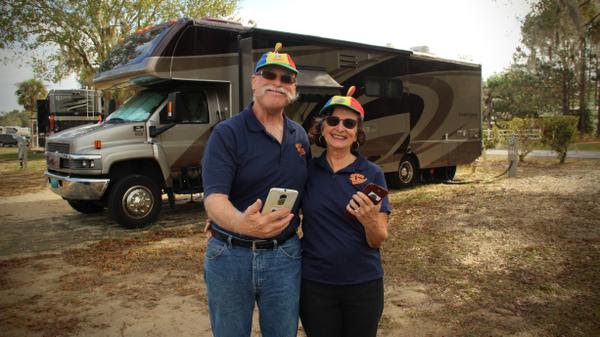 The month of December began with a week at our home RV park of Thousand Trails, Orlando. 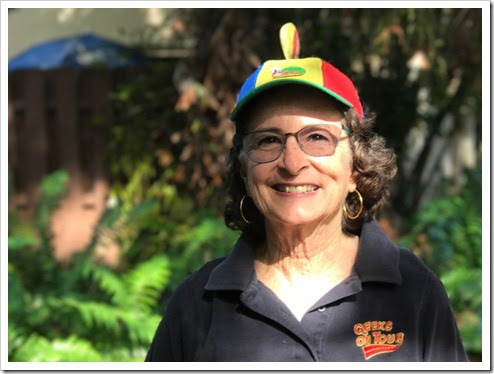 We taught a seminar on Google Photos at theCentral Florida Computer Society in the Orlando area. See our December Photo Album for more pictures. The rest of the month was spend at home in Fort Lauderdale publishing and selling our new “Mrs. 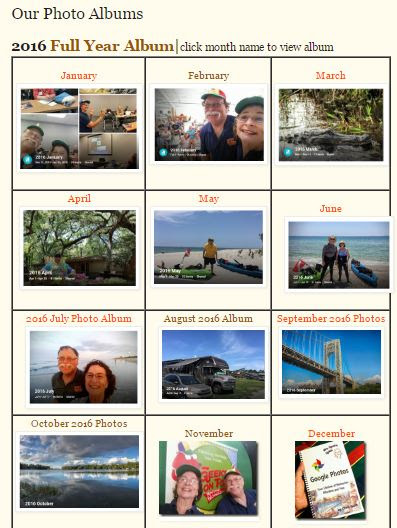 Geek’s Guide to Google Photos.” A big Thank You to over 200 of you who bought our book launch special. If you want to buy the book now, the best option is Amazon books. We posted our “What Does This Button Do?” online class everyWednesday in December. Even if we don’t have a live show, we post an encore episode, so you can count on a weekly class. We’re in Florida until February, then we’ll be heading west for several RV rallies in Arizona, and some clubs in California. Thank you so much to everyone who bought our Book Launch special last month! Also to those of you who purchased on Amazon Create Space or Kindle, and especially those who left the wonderful reviews on Amazon. We sold nearly 300 books in the first month and we consider that a wild success! The December special, which included our Learning Library on USB drive, is over but you can still purchase the book several different ways. We’ve set up a special page just for the book. What better place to start our series of member spotlights but with our very first member! 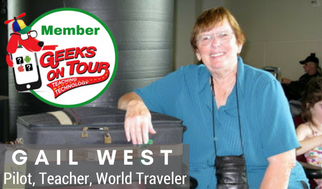 Dr. Gail West, now a retired professor of education, was the first one to sign up as a Geeks on Tour member in July of 2008. But her association started even before Chris and Jim Guld were known as the Geeks on Tour. I count on Google Photos to keep ALL my photos together, in one place with no effort on my part. But, at the end of the year, I want to know that I have an album for each month with all the most important pictures. I want those albums to be available to me online and off, and I want an easy way to display my year in review. This article details what I do. A USB Drive with an iPad? We use them all! And we have an opinion.